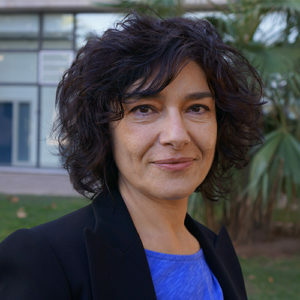 Nuria Lloret is a professor at the Universitat Politècnica de València (UPV). PhD by the UPV and degree in Geography and History. She has been the Director of the DCADHA department from 2004 to 2012, she is currently Coordinator of the Doctorate in Music of the UPV, and Director of the Master CALSI Master of contents and legal aspects in the information society and PhD coordinator in the Master of Music of the (UPV). As a researcher, she belongns to the design and manufacturing institute (IDF) of the (UPV), and she is member of the governing council of the Institute. He also belongs to the interdisciplinary research group of the University of Granada, PAI-TIC group. In 2010 she obtained a research grant from the Ministry to make a stay at the New York University at the King Juan Carlos I Center. For 10 years she has been the Director of the international congress CALSI. She has directed several research projects at national level and European programs. Being an expert evaluator for the European Union since 1998 in the various Marcos programs to date. She is also an ANECA evaluator for the REACREDITA program. She has published in multiple international articles having been co-editor of the book “Systems Science and Collaborative Information Systems: Theories, Practices and New Research. Founding partner of the companies Masmedios.SL (Consultant in Digital Comunication, Web Analytics and Personal Branding and Online Identity) and the company The Line Between Ltd with headquarters in the USA. She is currently president of the AECTA association and member of the National Federation FENAC. Nuria is member of the board of directors of the CEV and member of the R&D Committee and the Training Commission of the CEOE. 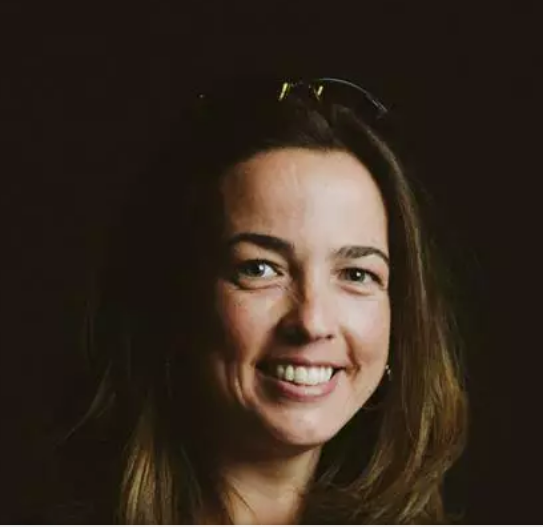 María M. Iturriaga is the executive director for Berklee College of Music at the campus in Valencia, Spain, where she plays a leading role in the campus’s academic, enrollment, and institutional strategies. Iturriaga joined Berklee in 2008 and was at the forefront of establishing the college’s first international campus. She holds a master’s degree in performing arts administration from New York University, a bachelor of science degree in business administration from the Universidad Autónoma de Madrid, and a bachelor of music degree in piano performance from the Real Conservatorio Superior de Música in Madrid. Prior to Berklee, she worked with AEA Consulting in New York, and in external affairs and as a music agent on projects in the U.S., U.K., and Spain. She is a member of the Abram Wilson Foundation Advisory Board and the Comité Protector de la Música del Reciclaje, chaired by Queen Sofía of Spain. 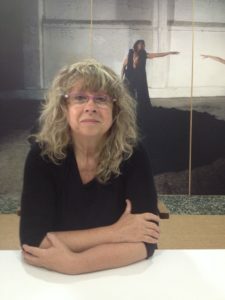 Maribel Domènech is Professor at the Universitat Politècnica de València (UPV), was Director of the Sculpture Department from 1990-1994 and from 1998-2004. Currently belongs to different committees of the Faculty of Fine Arts, Department and a Commission of the Master of Visual Arts and Multimedia. Participate in the Research Project: Mutant Screens. Interactive audiovisual projection with mapping techniques in unconventional spaces (public space, artistic installations and performing arts. (HAR2013-47778-R), financed by the Ministry of Economy, Industry and Competitiveness. Elena Robles is research assistant and PhD candidate at the Universitat Politècnica de València within the Art and Technology program, forming part of the senior research team at the Instituto de Diseño y Fabricación as a member of the collaborative creation technology project: Soundcool. 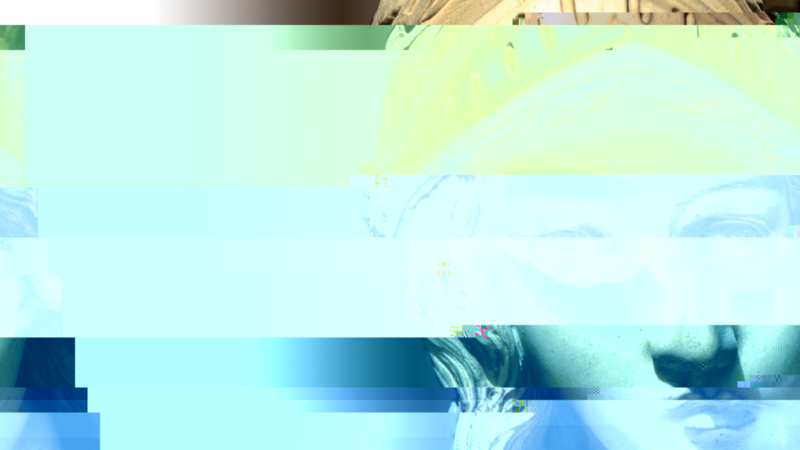 Her specialization covers contemporary visual and media culture, digital aesthetics, feminism and digital and electronic art. As well as cultural management and the projection of networking activist projects and collaborative creation through technological tools. She got a Fine Arts degree from the Faculty of Fine Arts of San Carlos of the Universitat Politècnica de València, where she has subsequently studied the Master’s Degree in Artistic Research and Production, completing an innovative Master’s Degree Final Project on the creation of new aesthetic tendencies throw collective participation in the social network Tumblr. She has made international presentations for the dissemination of Soundcool project in many international academic events such as NEM Summit 2016 and ICL International Conference 2017. Together with Nuria Lloret, she is the co-founder and main member of the emerging Atenea International Project, which has been disseminated and promoted in several international events last year 2017, such as: Sónar + D, Kikk Festival, European Women in Tech and the III International Congress of Culture Visual. Elena has worked as project manager in the Theme Conference within the frame of Ars Electronica Festival 2018. She is currently a research visitor at Carnegie Mellon University. 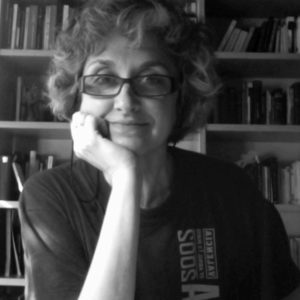 Luisa Tolosa Robledo is a professor at Universtiat Politècnica de València since 1997 and belongs at Audiovisual Communication, Information and History of Art Department. As a researcher, she is specialist in cultural heritage: historic and contemporaneous documentation of archives, audiovisual and musical heritage,its treatment and analysis for retrieval information. Currently she does research about recovery of memory and role of women in history. 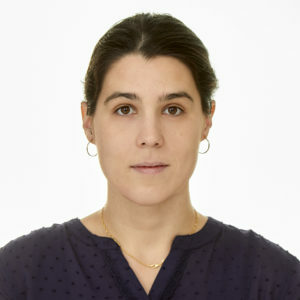 Marga Cabrera is PhD in Audiovisual and Professional Sciences by the Universidad Politécnica de Valencia. She is one of the main managers of the international conference on social networksComunica2. She is the director of theocial media management Master, CALSI. 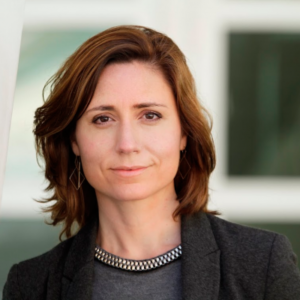 She coordinated the Fundéu-BBVA book “Writing for the internet: a guide for new media and social networks”; and she wrote the book “Entrepreneurship in journalism, tools for the new professional network” edited by the UOC. 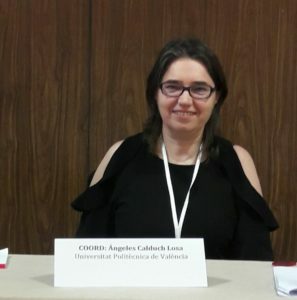 Ángeles Calduch Losa is PhD in Mathematics at the Universitat Jaume I, Degree in Statistical and Technical Sciences at the Universitat Politècnica de València. She is a lecturer and researcher at this last university (UPV), teaching in the Department of Statistics and Applied Operational Research and Quality Methods. Currently, she is also the co-director of Académica y Alumnado at the School of Computer Science at UPV. Elizabeth Carrascosa is PhD in Music by the State University of Campinas (UNICAMP) in São Paulo, Brazil. From 2011 she works as Associate Professor at the Department of Didactics of Musical, Visual and Corporal Expression of the Faculty of Teacher Training at the Universitat de València. 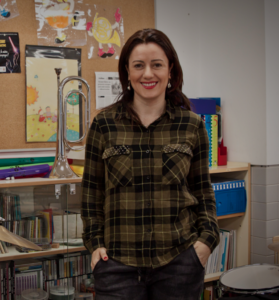 Mrs Carrascosa is also head teacher and music teacher of the “Nine of October” Public School in Alcàsser (Valencia), where she also coordinates the European projects. She has more than seventeen years of experience in music education. In addition to her educational work, she has been a speaker at various national and international courses and scientific events and has participated in various R + D projects. 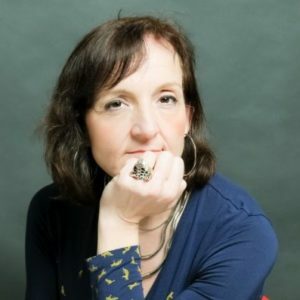 Her international works include: pedagogical coordinator of the sociocultural project “Guri” in São Paulo, Brazil; visiting teacher in Connecticut, USA and a professional stay in the United Kingdom. In addition, she had been awarded by the Spanish Agency for International Development Cooperation and the Spanish Ministry of Foreign Affairs and Cooperation for a doctoral stay. 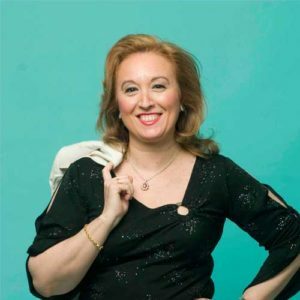 She is currently a member of the research group “Music education and Creativity- IEMC” of the University of Valencia and member of the scientific committee of the “Music Cognition” magazine at the “Gheorghe Dima” Music School in Cluj-Napoca (Romania). Mrs. Carrascosa collaborates as translator with the International Journal of Music Education- Research at the International Society for Music Education (ISME) and with the Univesitat Politécnica de Valencia in the Soundcool project, awarded with the SIMO Education Prize in 2016. Laura Silvestre is Ph.D in Fine Arts, lecturer and researcher in the Sculpture Department at the Faculty of Fine Arts of the Polytechnic University of Valencia, Spain. Vice-Dean of Culture at the Faculty of Fine Arts, UPV. Member of the Laboratory of Light R&D+I Group, which has shown its results and participated in congresses both in Spain and in other countries. 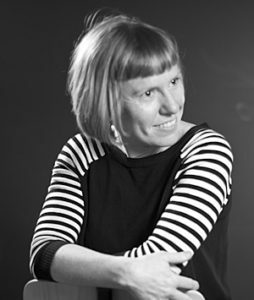 Her research focuses mainly on contemporary art exhibition spaces and she has carried out research projects in the Reina Sofía National Art centre in Madrid (2002), in the Tate Modern in London (2003) and in the MOMA in New York’s (2004). She has also collaborated in the writing of books, published papers in specialist journals, taken part in congresses and held numerous exhibitions both in Spain and abroad. Laura Silvestre has also been a Guest Lecturer at the Athens School of Fine Arts (2004 and 2006), at the School of Visual Arts of New York (2009), at the FH Joanneum University Graz, Austria (2016) and at the Bauhaus Universität Weimar, Alemania (2017), among others. 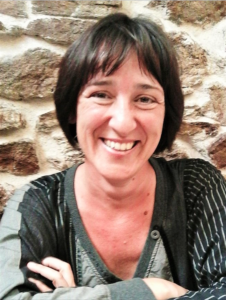 Daniela Gil Salom is PhD in German Philology by the Universitat de València (UV), postgraduate in German as a Foreign Language Pedagogy by the Universitat Autònoma de Barcelona and associate professor at the Universitat Politècnica de València (UPV). She is member of the lab Grupo de Análisis de Lenguas de Especialidad (GALE) of the Department of Applied Linguistics (DLA), her research focuses on Acquisition of German as a Foreign Language and on the foreign language teaching-learning process in general. She has taken part in different research projects supported by the UPV regarding to self-assessment, effective communicative skills, collaborative e-learning and to the integration of the ICT in the learning-teaching process. Currently she is vicedean of International Relations and Culture at the Informatics School (ETSINF) of the UPV. Sara Blanc (F) B.S. degree in Computer Science; MSc. in Computer Engineering; Ph.D degree in Informatics. 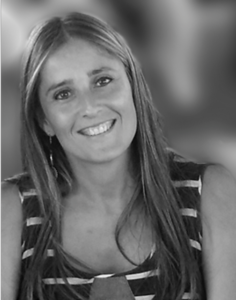 She is full time lecturer at the School of Informatics (ETSINF) and researcher in the Institute of Information and Communication Technologies (ITACA; www.itaca.upv.es). Currently, deputy director of Quality & Education of the ETSINF. She has published research papers in indexed journals, books, book chapters and articles in congresses. She has participated in 18 technological projects, several educational innovations coordinating 2 of them, several contracts with SMEs in technology transferring and as researcher expert to the CE. Secondary School during twenty years. She has published about forty studies focused on the recovery of Spain’s musical heritage and innovation in didactics of music. She has coordinated an interdisciplinary team to catalog the musical collection at the Real Colegio – Seminario de Corpus Christi in Valencia, a project funded by Generalitat Valenciana. She directs since 2017 the Creativity and Educational Innovation Review from the University Institute of Educational Creativity and Innovation in the Universitat de València. 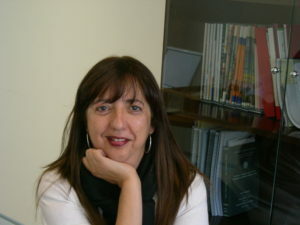 Ana Botella Nicolás is PhD in Pedagogy from the University of Valencia. Degree in Geography and History (specialty Musicology) and diploma in Teaching (specialization in Music Education) from the University of Oviedo. Professional title of Piano and International Master’s Degree in the same specialty by the Superior Conservatory of Music of Oviedo “Eduardo Martínez Torner”. Career officer of secondary school teachers, music specialty (currently on leave). Contracted PhD of the Department of Didactics of Musical, Visual and Corporal Expression of the Faculty of Magisteri of the Universitat de València. He has presented several papers and communications in conferences and conferences on music didactics as well as different publications in scientific journals. 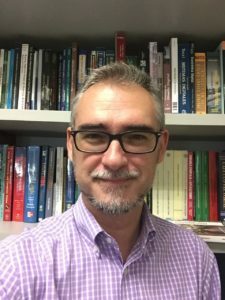 He is a member of the Academic Coordination Committee of the University Master’s Degree in Secondary Education Teaching of the University of Valencia and of the Master’s Degree in Research in Specific Didactics. She directs The Music Club of the Office of the Vice-principal for Culture of the Universitat de València. She is the statutory director of the Florida University Center, attached to the UVEG. He directs the Master’s Degree in Research in Specific Didactics and coordinates the doctorate in music. 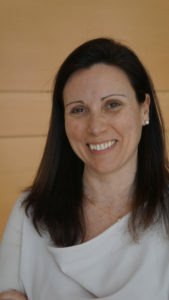 Silvia Terrasa is PhD in Computer Engineering by the Universitat Politècnica de València (2004). Since 1998 she has been a lecturer in the Department of Computing Systems and Computers, her field of teaching and research being that of operating systems and real-time systems. She has held different management positions in the University, between 2007-2009 she was the Deputy Director of Quality of the Technical School of Applied Computing (ETSIA), to become Assistant Director of Quality and Teaching between the years 2009-2017 in the School of Computer Engineering (ETSINF), a school that emerged in 2009 as a merger of ETSIAp and the School of Information Technology. Since November 2017, she is the Director of the ETSINF. She has also done projects for various graphic image printed media and web. Zulema de la Cruz is a Spanish pianist and compositor. She studied at the Madrid Conservatory for piano and composition and Stanford University in California for composition and computer music, with professors including Carmelo Bernaola and Ramón Barce. She continued her studies at the Center for Computer Research in Music and Acoustics at Stanford University with J. Chowning. After completing her studies, she took a position as professor in Electroacoustic Composition at the Madrid Conservatory in 1988. She has also taught at the Cuenca Conservatory, the Carlos III de Madrid University, and others. She was instrumental in establishing and has served as director of the Research Laboratory for Computer and Electroacoustic Composition (LICEO) at the Madrid Conservatory. De la Cruz has performed with Sax Ensemble since 1993, and also with Fundación Sax. 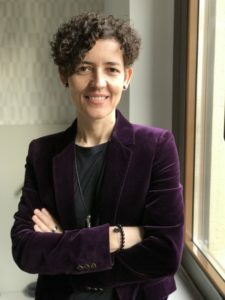 She has also served as director of music festivals and on boards and advisory committees, including Consejo Nacional de La Música of the Spanish Ministry of Education and Culture. Her works have been performed internationally. co-creator of the famous software Audacity. There he gave classes at the Integrative Design Arts and Technology Program (IDeATe) in his first edition in 2014. He teaches at the Fine Arts School Music Master and the Telecommunication Engineering School. He has composed pieces for the Philharmonic Orchestra and the Contemporary Music Ensemble from Carnegie Mellon University. Carlos Hernández is lecturer in the Department of Communications, Higher Technical School of Telecommunications Engineers (ETSIT), Universitat Politècnica de València. Telecommunications Engineer by the “José Antonio Echeverría” Instituto Superior de Ingeniería, Havana, Cuba, in 1989 and Doctor in Telecommunications Engineering from the UPV (Spain). Professor of the Department of Communications of the UPV. The current lines of research are related to the signal process and its application in the sound field. Develops Teacher Innovation Projects and teaches courses and workshops for teachers aimed at improving educational methods and the quality of education at the University. . Professor at the Universidad SENIOR UPV in subjects related to the Internet for the elderly. Likewise, he has collaborated since 2013 in technological projects related to the usability of information technology by people with intellectual disabilities. 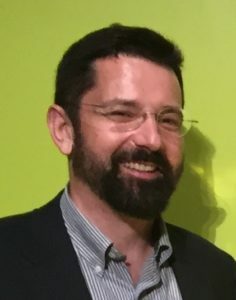 Jorge Serrano is an associate lecturer at the Department of Audiovisual Communication, Documentation and History of Art at the Universitat Politècnica de València. His research career focuses on topics such as Cybermetrics, Information Seeking Behavior Analysis, Information Architecture, Web Analytics, Interaction Design (HCI and Usability) and Web User Mining. He is also a Senior Analyst and Director of R & D at Metric Salad, with dozens of national and international clients from various sectors. His professional career has expanded and evolved from Information Retrieval, to Academic & Scholar Marketing, Market Analysis, Digital Strategic Analysis (Qualitative and Quantitative – Cybermetrics), and the fields of Content Management, Information Architecture, Web Analytics, Interaction Design (HCI/Usability) and E- Commerce Strategy / E-Marketing / Content Marketing / SEO, Search Analytics, Web User Mining & Web Content Mining, with internationalization in mind. 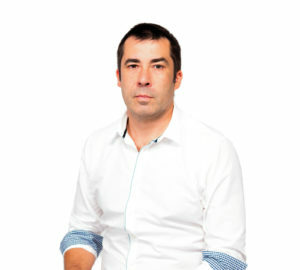 Adolfo Muñoz is a PhD researcher and developer at he Institute IDF (Institute of Design and Manufacturing) contributing to the Soundcool project a profile of multimedia design and videogame programming. Fine Arts degree and a PhD in Audiovisual Communication and Advertising by the Universitat Politècnica de València (UPV). 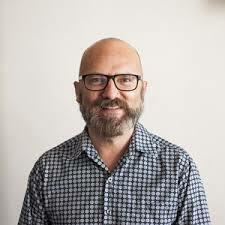 He is a tenured university professor and teaches digital video postproduction and 3d animation subjects in the Fine Arts degree, the Master’s degree in Artistic Production and the Master’s degree in Animation, and on the other hand, he teaches videogame programming in the Computer Science degree. the UPV. Professor Muñoz is a specialist in the programming of the video game engine Unity and Csharp, and adaptive design for mobile devices. He has published articles on education and new technologies, and is currently developing a research on musical perception in virtual reality holographic environments (Hololens). He is the author of a free interactive video tactile application for the new Windows10 application system called 4Videowall. Stefano Scarani is an italian composer and videoartist, Ph.D. in Music by the Universitat Politècnica de València. 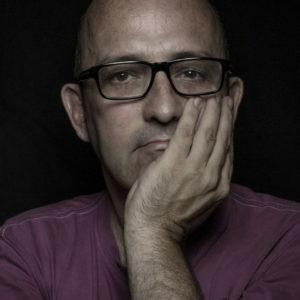 He is member and collaborator of AGON acustica informatica musica (since 1996) and AMEE Asociación de Música Electroacústica de España. In 1993, together with Alberto Morelli, he gave life to Tangatamanu, among others for Studio Azzurro and Peter Greenaway. Electronic sound performer in theatre performances and concerts with AGON, Change Performing Arts and various ensembles in Italy and abroad. Since 2016 he has been working as an artist with the EMAP project (European Music Archeology Project). Lecturer of Electroacoustic composition and audiovisual composition at Centro Superior de Música del País Vasco Musikene (Spain), professor-collaborator on the Master Universitario in Música MUM-Mevic at Polytechnic University of Valencia (Spain) and External profesr at the AFAM Course Musica per l’immagine at Civica Scuola di Música “C. Abbado” of Milan (Italy). He was professor of Sound Design on the Faculty of Design of the Polytechnic University of Milan (Italy), and professor of Multimedia composition in Conservatorio Superiore di Como, Italy. He is also very active in teaching, giving lectures and running workshops for musicians and university students. He develops his research activity within the field of design of electronic systems in various applications. He has participated in more than 20 research projects, in various national and international calls. It has a software registry, currently in operation and commercialization. From the teaching point of view, its activity is equally remarkable. 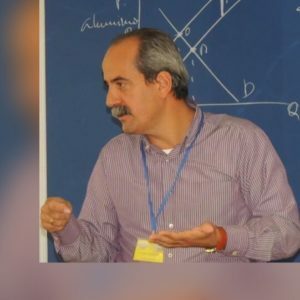 He has taught about 30 different subjects in 15 years of profession, corresponding to Bachelor, Master and Doctorate degrees. He is co-Director of University Extension and Institutional Communication of ETSI Telecomunicación, Universitat Politècnica de València since 09/07/2012. He is also a member of the editorial board of the Polytechnic University of Valencia and a member of the governing council of the Vicente Miralles Segarra Telecommunication Museum since its official establishment on 06/01/2015. He has been the Coordinator of the Own Title “Diploma in Electronic Music and Video Creation” of the Universitat Politècnica de València since 09/01/2013. Pep Sales Gabarda is a visual artist who studies, works and resides in Valencia. Bachelor in biology (biochemistry), theater director, actor and set designer. Since 1995 works as a technician in the Library and Documentation Service of the Universitat de València. He is currently finishing his undergraduate studies at the Faculty of Fine Arts of San Carlos at the Universitat Politècnica de València. He has performed and directed nearly one hundred theatrical shows for which he has received different awards as stage director. The last shows in which he works are aimed at children, although he has staged texts by Fassbinder, José Ruibal, Molière and Strindberg. 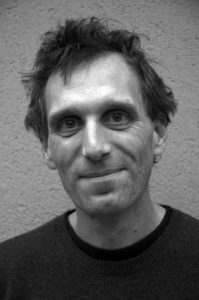 He has collaborated in group exhibitions at the galleries Cheim & Read, Sikkema Jenkins & Co., Luhring Augustine in New York and in Postales desde el Limbo in Zaragoza. He has been selected in ART SUR: contemporary art festival, 3rd CVO: biennial of Valencia or in ConfusionFestival. 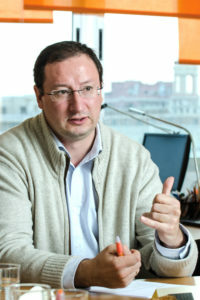 J. Alberto Conejero is Chair of the Department of Applied Mathematics at the Universitat Politècnica de València. Prior to this he has been in several management positions at the UPV: Vicedean of the School of Computer Science (2004-2009), Secretary of the Strategic Plan (2005-2007), Head of the Academic Performance and Curriculum Assessment Area(2009-2013), and Under General Secretary of the University (2013-2016). He is researcher on Analysis, Applied Mathematics, Chaos, and Graph Theory. He has also been collaborating in several interdisciplinary projects in Communication Networks, Systems and Synthetic Biology, Biomedical Data Analysis, Image Processing, Industrial Applications, and Fluyd Dynamics. He has also been participating in the creation of several educational projects at UPV, such as Praktikum-UPV (2010-2012), Integra2(2012-2013), Evalúa (2014-2015), Generación Espontánea (2014-2016). He has been recently involved in the Eramus+ project for fostering the development of Soft Skills within the university curriculum.